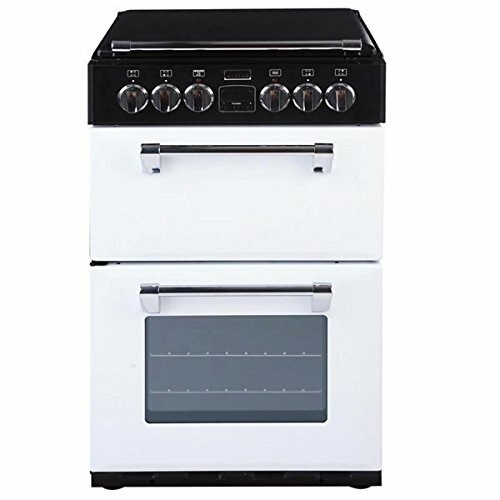 Fantastic modern design, this Stoves Mini Range RICHMOND 550ECCT Electric Cooker will provide you with 2 fantastic ovens with a superb modern electric ceramic hob. The main oven comes with 59 litres of cooking space, ideal for large roasts, and also very large for a double oven cooker. The oven also will cook your food to perfection with the programmable timer it provides. The top cavity is a 39 litre conventional electric oven combined with an electric grill. This cavity is great for that extra cooking space you need when cooking large meals, such as your Christmas dinner. The Stoves Mini Range RICHMOND 550ECCT Electric Cooker also comes equipped with an electric ceramic hob. There are 4 zones on the easy control hob, and once you have finished using the hob you can protect your family from the heat with the stylish hob hood.